Spyros Kontogiannis is a Faculty Member at the Computer Science Department of the University of Ioannina (Greece). He collaborates also with the Algorithms and Complexity Group at the Computer Technology Institute & Press "Diophantus". In the past he has been postdoc fellow (2 years) and research associate (1 year) at the Max Planck Institut fuer Informatik. Read more... He got his Computer Engineering & Informatics Diploma and his Phd in Computer Science from the Polytechnic School at the University of Patras. The research focus of S. Kontogiannis is on the Foundations of Computer Science. He is interested in the design and analysis of algorithms for fundamental problems in networks, parallel and distributed systems, combinatorial optimization, approximation algorithms, online algorithms, and their applications to real-life problems emerging in practice. He is working on problems related to: the design, maintenance, and management of communication and transportation networks exploiting local / limited knowledge; the robustness of computations in parallel and distributed computing systems; the consequences of antagonistic (selfish) behavior in large scale computing and communication networks. Theoretical computer science, algorithmic game theory, parallel and distributed computing, design and analysis of algorithms, combinatorial optimization. S. Kontogiannis, G. Michalopoulos, G. Papastavrou, A. Paraskevopoulos, D. Wagner, C. Zaroliagis. Analysis and Experimental Evaluation of Time-Dependent Distance Oracles. In SIAM Meeting on Algorithm Engineering & Experiments (ALENEX 2015). Available via DBLP. S. Kontogiannis, C. Zaroliagis. Distance Oracles for Time Dependent Networks. In ALGORITHMICA (2016). Preliminary version in ICALP-2014 (TRACK A). Full version accessible via ArXiv (http://arxiv.org/abs/1309.4973). S. Kontogiannis, P. Spirakis. Approximability of Bimatrix Games and related experiments. In 10th int. Symp. on Experimental Algorithms (SEA2011), LNCS6630, Springer, pp. 1--20, 2011. A. Bessas, S. Kontogiannis, C. Zaroliagis. Robust Line Planning in case of Multiple Pools and Disruptions. In 1st int. ICST Conf. on Theory and Practice of Algorithms in (Computer) Systems, LNCS6595, Springer, pp. 33--44, 2011. S. Kontogiannis, P. Spirakis. Exploiting Concavity in Bimatrix Games: New Polynomially Tractable Classes. In 13th Workshop on Approximation Algorithms for Combinatorial Optimization Problems (APPROX2010), LNCS6302, pp. 312--325, 2010. S. Kontogiannis, P. Spirakis. Equilibrium Points in Fear of Correlated Threats. In 4th int. Workshop on Internet & Network Economics (WINE2008), LNCS5385, pp. 210--221, 2008. S. Kontogiannis, P. Spirakis. Well Supported Approximate Equilibria in Bimatrix Games. In ALGORITHMICA, 57(4): 653--667 (2010). Preliminary in ICALP 2007 + MFCS 2007. S. Kontogiannis, P. Spirakis. On the Support Size of Stable Strategies in Random Games. Theoretical Computer Science (TCS-A) 410(810): 933--942 (2009). Preliminary in SAGA 2007. D. Fotakis, S. Kontogiannis, E. Koutsoupias, M. Mavronicolas, P. Spirakis. The Structure and Complexity of Nash Equilibria for a Selfish Routing Game. Theoretical Computer Science (TCS-A), 410(36): 3305--3326 (2009). Preliminary in ICALP 2002. D. Fotakis, S. Kontogiannis, P. Spirakis. Atomic Congestion Games among Coalitions. ACM Transactions on Algorithms (TALG), 27 pages, 4(4): Article 52 (2008). Preliminary in ICALP 2006. D. Fotakis, S. Kontogiannis, P. Spirakis. Selfish Unsplittable Flows. Theoretical Computer Science (TCS-A), 348(23): 226--239 (2005). Preliminary in ICALP 2004. 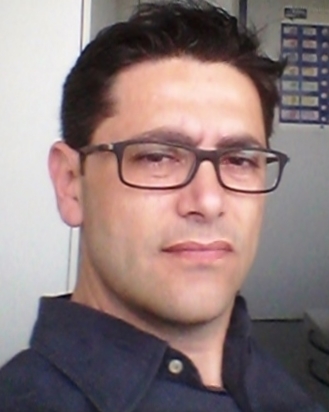 Page creation and maintenance: Spyros Kontogiannis. Page last change: 13/02/2019.